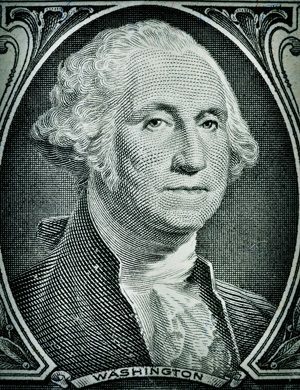 WASHINGTON, Dec. 11, 2017 /PRNewswire-USNewswire/ — Before Congress approves a final package of tax cuts estimated to add more than a trillion dollars to the national debt over 10 years — in addition to the $10 trillion already projected under current law — The Concord Coalition urges President Trump and all lawmakers to consider George Washington’s advice on debt and taxes delivered as part of his Farewell Address. Concord today launched a social media campaign with a series of tweets calling attention to Washington’s wise words. In modern times, we would call this a “pay-as-you-go” philosophy. It is a philosophy that is now very much at risk. Washington’s advice wears well over time. Will it be read, understood and followed? To read more tweets from George Washington about fiscal responsibility, follow the Concord Coalition on Twitter and Facebook. As a very important source of strength and security, cherish public credit. One method of preserving it is to use it as sparingly as possible, avoiding occasions of expense by cultivating peace, but remembering also that timely disbursements to prepare for danger frequently prevent much greater disbursements to repel it, avoiding likewise the accumulation of debt, not only by shunning occasions of expense, but by vigorous exertion in time of peace to discharge the debts which unavoidable wars may have occasioned, not ungenerously throwing upon posterity the burden which we ourselves ought to bear. The execution of these maxims belongs to your representatives, but it is necessary that public opinion should co-operate. To facilitate to them the performance of their duty, it is essential that you should practically bear in mind that towards the payment of debts there must be revenue; that to have revenue there must be taxes; that no taxes can be devised which are not more or less inconvenient and unpleasant; that the intrinsic embarrassment, inseparable from the selection of the proper objects (which is always a choice of difficulties), ought to be a decisive motive for a candid construction of the conduct of the government in making it, and for a spirit of acquiescence in the measures for obtaining revenue, which the public exigencies may at any time dictate.